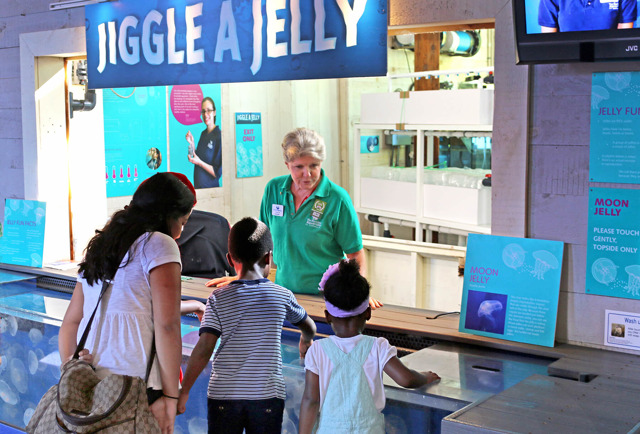 This unique exhibit allows guests to gently touch the tops of live moon jellies! How is this possible without being stung? The stinging cells of moon jellyfish hang on tentacles below their bodies. Also, their sting is known to be relatively benign for most people.